There are many beautiful hotels to choose from in Munich, Germany we decided to stay at the Munich Marriott Hotel on Berliner Strasse. We choose this property for numerous reasons but most of all because of its location. Since we had planned to partake in activities in and around Munich, we found the location ideal for our family outings. 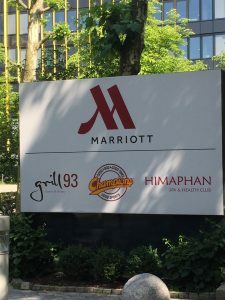 The staff at Munich Marriott Hotel on Berliner Strasse was wonderful, very attentive to any request we had, and regularly greeted us and ensured that we were enjoying our stay. The hotel was nicely decorated and very clean. Our room had a mini fridge, desk, WIFI, and comfortable beds. If I had 1 issue, it would have to be that the air conditioner didn’t get as cool as I like. This is definitely an American problem. If I was a gambler, I’d bet Europeans think the cooling of the room was perfect. With that said, there WAS air conditioning! That was a huge contributing factor for choosing this hotel over some of the others. This hotel had an indoor pool which wasn’t overly crowded during our visit (at times we were the only ones in it). There is also a Spa & Health Club in the hotel near the pool area. Breakfast is available each morning. The price of breakfast is dependent upon which selections you make (buffet, continental, or full American breakfast). We ate here each morning and were able to find more than enough options to satisfy everyone (even my youngest who was only 10 months old). After an exciting first day, we decided to keep it more low key for day 2 and get out and explore the amazing city of Munich. Since the hotel was close to public transportation, we took the underground to the Munich City Center. This was easy to navigate as we only had to get on the train next to the hotel and off at the Marienplatz stop. More information about public transportation can be found on the Munich Tourist Info Site. We spent the morning taking in several of the old churches and numerous museums. 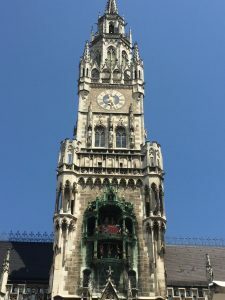 Late morning we headed towards the old part of Munich to catch the Rathaus-Glockenspiel. 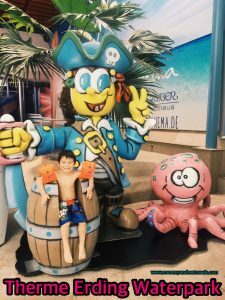 This tourist attraction is a large mechanical clock that has motorized figurines jousting, reenacting skits, and dancing with music. Stay till the end of the performance and the large clock turns into a spectacular coo coo clock with a golden bird showcasing the end of the event. Tip – Get there about 20 minutes early and you can be front and center and possibly snag a table at one of the restaurants to grab a drink, sit to rest, and enjoy the show. After the Glockenspiel we headed to grab lunch at the historic famous Hofbrauhaus. The 3 story building was originally built in 1589 and has been a beer hall dating back to the 16th century. The vibe of the beer hall was enjoyable and upbeat. I would have to say that the food was only ok due to a lot of the meats being dry and minimal variety available. 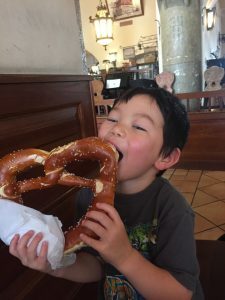 Although, the large pretzels were a wonderful treat for my son. After lunch we went to do some more exploring around the city focusing on historical buildings and the amazing architecture. We also had time to do a little shopping. Our afternoon focused on the Marienplatz and Old Town areas. For our last day in Munich, we headed out to get in some hiking. We discovered there was a dinosaur museum just outside Munich, maybe 30 minutes, called Dinosaurier-Park Altmeuhlta. Enjoying the weather and the unique hiking experience was a great way to wrap up our trip to Munich. This park was so unique that you can read more about it on my travel review, Dinosaurier-Park Almeuhlta. Short on time doesn’t have to equal short on experiences. 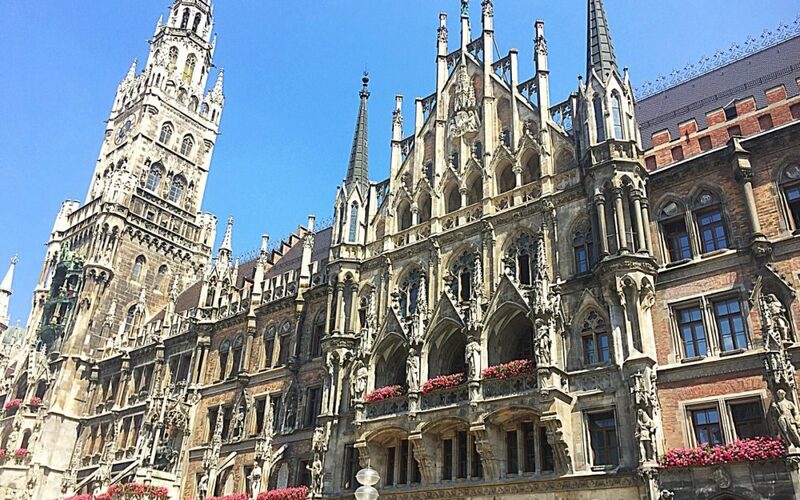 Munich is one of those cities that you can visit over and over again to experience different activities each time. 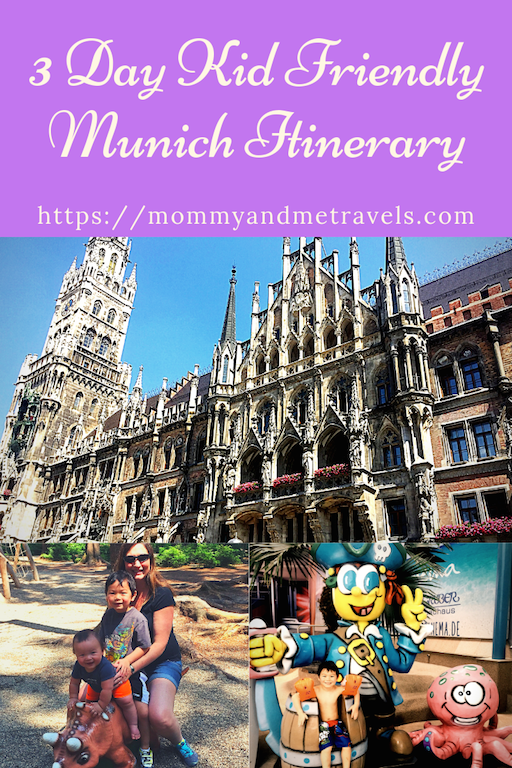 This 3 day kid friendly itinerary is just the start of things to see and do around Munich. Have you visited any of these locations? Have other places we should check out next time? Let us know below. Germany has always been on my travel bucket list. I have family history there and so I would really love to go! If I do make it out to Munich I will have to come back to this. This does look like a really great itinerary for kids. My daughter would definitely love the water park but it all looks amazing. 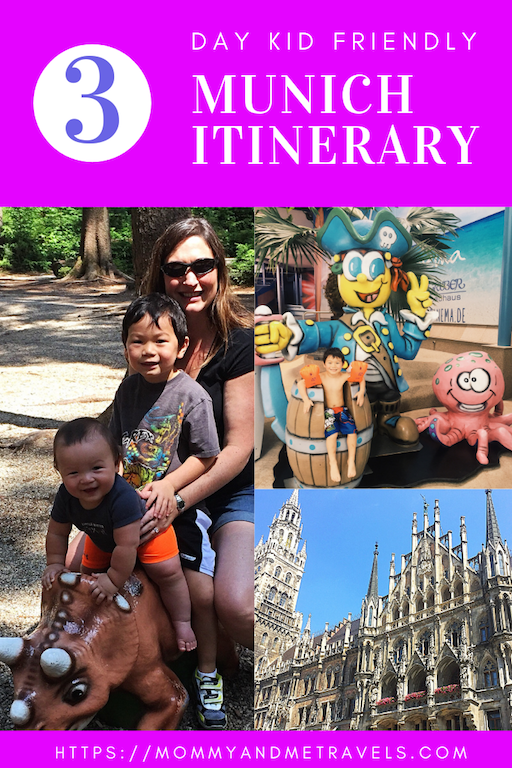 What a fabulous itinerary and trip idea! I have never been to Germany myself, let alone with my kids, so this sounds like a fun trip to try sometime. I would love to take a trip to Germany! I’ve never been before and want to go. I love that there’s a Marriott, we always stay in them since my brother-in-law works for one. It looks like you guys had a great time. My kids would love those huge pretzels. I really want to go visit germany and eat some authentic german food. This sounds like a fun trip if you have kids. The Hofbrauhaus would be a great place to visit! Thanks for the tips! That dinosaur park looks amazing, I’ll definitely be pinning for when we visit. Thanks Karen! 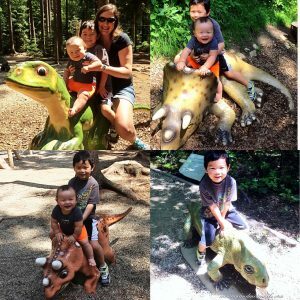 The dino park was absolutely amazing. We definitely will be paying another visit there.